Weekends are the perfect time to enjoy brunch! Brunch is the best because you can have a little bit of breakfast and lunch all in one. 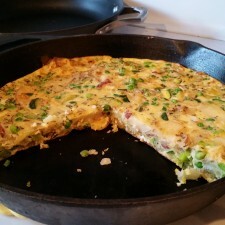 A favorite recipe to make of mine is frittatas. You get to enjoy delicious eggs along with your favorite toppings, whether that be veggies, cheese, or meat. It’s similiar to an omelette but so different at the same time! In a nonstick skillet add coconut oil to pan over medium heat. Toss in onions and allow to cook for about 3 minutes or until they are beginning to brown and turn soft. Add potatoes in and allow to cook with the onions for a couple of minutes. Next, add peas and zucchini. Mix all ingredients together and allow to get warm. Use a spatula to make sure the whole pan is coated with your veggies. Crack eggs into a large bowl and whisk together with salt and pepper. Add in cheese and milk and mix throughly. 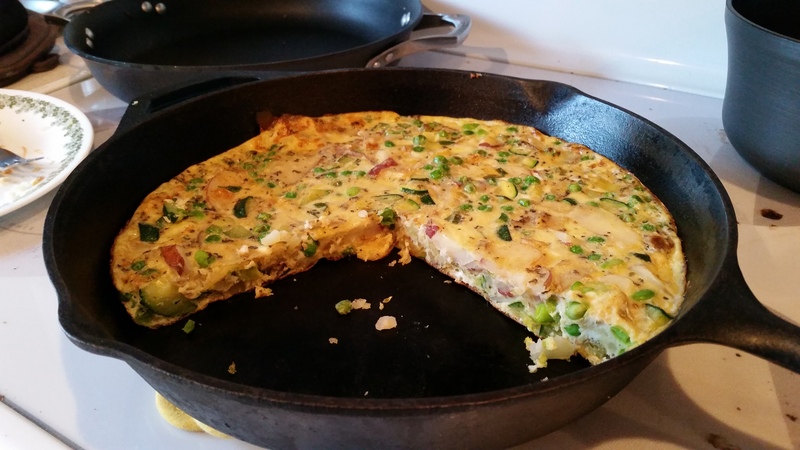 Pour egg mixture into your skillet, ensuring you are pouring over all ingredients. Let sit for about a minute to allow everything to set. Bake according to how brown you do or don’t like your eggs! To make this recipe a little healthier for you, try using egg whites only instead of the whole egg. There are many delicious combinations when creating an egg frittata, so don’t be shy at using whatever ingredients you may have on hand!